Here at Nelson Kia, we firmly believe that our friends and neighbors should be as well informed about their vehicles as possible. With this in mind, we wanted to clarify a couple of the more common myths that have persisted about motor oil. We often hear people proclaim that if you use synthetic motor oil once, you will always have to use it. This is, quite simply, false. Switching between a synthetic and conventional motor oil will have absolutely no adverse effects on your vehicle's engine. 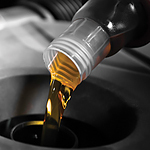 As long as you ensure that the viscosity rating of the motor oil meets the recommended specs of your vehicle, you can change your oil type as often as you want. Another common motor oil myth is that you must change your oil every 3,000 miles. Again, this is false. The frequency of your oil changes will depend on the recommendations of the vehicle manufacturer. While some will suggest changing the oil every 3,000 miles, many will suggest a change every 5,000 or 7,000 miles.